Being a cigar lover is a bit like being a fisherman – with the quarry being an elusive cigar rather than a shimmering trout. We could stretch the analogy to tortuous limits and tell you that clipping and torching your cigar is like tying your deadliest fly and making sure your rod, reel, line and hook are in fighting form. That taking your first puff is like tossing a dry fly on a glittering morning on a chalkstream as the mayfly hatch and ascend around you. But we won’t go quite that far. You’re interested in cigars, after all. But find a fisherman and you’ll find tons of gear; lurid flies or baits, bags and nets, mile after mile of fishing line and any number of widgets, oojimaflips, doodads and wotsits that once upon a time his fish-addled brain fevered for. There is a parallel with cigars. In essence, in order to enjoy a cigar, you need nothing other than a match. You can remove the cap with your teeth or thumbnail, if needs be. Once lit, you’re good to go. But judging by the number of lighters, cutters, cases, holders, ashtrays, humidors and other assorted paraphernalia sold across the world, we’re in danger of becoming yet another group of people with a problem when it comes to discarding waste and the sheer scale of stuff we use and throw away. Laurence Davis and Nick Hammond discussed that very point while sitting on the verandah of Hirochio Robaina’s finca in Pinar del Rio in February. Many of you have already watched the interview with Hirochi on YouTube. While it’s lovely to have quality accessories and maybe a touch of luxury around you once in a while, be aware that, like the fishing shop with its dazzling array of ‘ultimate baits’ and ‘guaranteed catch’ goodies, no amount of V-cutters, triple flame blue torch lighters, crocodile skin cigar cases or cedar wood humidors will make your cigars taste any better. Go to a cigar store that is renowned for its expertise. We would, of course, humbly suggest that Sautter may be just such a place. Select things that genuinely please you; things that will please you each and every time you use them. Pay what you can afford for them. And ignore the ‘noise’ of other accoutrements. There are too many to mention and if you’re not careful, you’ll end up with a cupboard of useless cigar stuff you never lay your hands on. This is another reason for your beloved spouse to not look favourably on your cigar hobby in the long run. This should be avoided at all costs. Do yourself a favour; stick to a few, well tried and tested faithful pieces of cigar equipment and spend the money you’ll save in the long run on cigars. Your palate will improve considerably and you’ll learn new things about new brands. 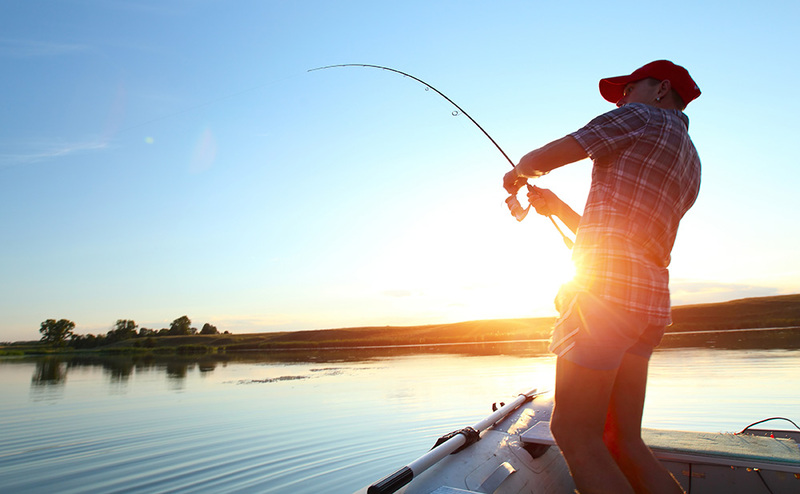 Enjoy the fishing – just remember rod, reel and some bait are all you really need.